Houghton 75 > Events > Houghton Library > Edison & Newman Room > Effacements in the Repository: Do Physical Objects Have the Right To Exist? 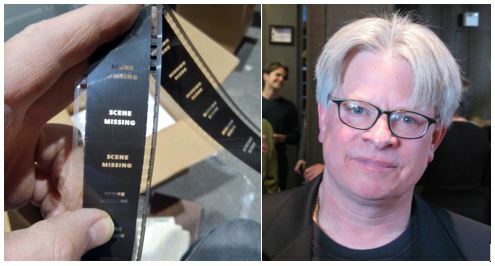 Rick Prelinger will give the 107th George Parker Winship Lecture in the Forum Room at Lamont Library, followed by a reception at Houghton Library’s Edison and Newman Room. While archives and special collections are collecting at an unprecedented pace, growth and shrinkage have become close partners. As constraints swell and digitization marches on, deaccessioning has moved from the periphery of practice toward the center. Entire legacy media forms — newspapers, academic journals, videotapes, reference works, maps, even film — are becoming digital by default. Rather than replaying old polemics and engaging in nostalgia for paper, ink and celluloid, this talk will treat broader issues that have received much less examination. How do physical materials held by libraries and archives become obsolete, then inconvenient, and finally difficult? Does inconvenience have its merits? Do objects in these categories have the right to exist? Are certain affordances introduced only when physical and digital collections interact? How might bibliography, filmography and mediagraphy remediate and repair gaps in collections introduced by their custodians? And, in a time when monuments celebrating white supremacy are being pulled off their pedestals, are librarians and archivists practicing erasure or healing? This event is co-sponsored by Houghton Library and the Harvard Film Archive. Join Prelinger on Monday, October 16, for Lost Landscapes of Los Angeles, a special evening at the HFA during which he will take the audience on an interactive journey through cinema’s most infamous city. Register for Event: Effacements in the Repository: Do Physical Objects Have the Right To Exist? Your ticket for the: Effacements in the Repository: Do Physical Objects Have the Right To Exist?